AFAQ Leaders’ Club offers various activities with innovative ideas that involves and inspires the children and youth of all ages to participate and develop their skills. The club organized Pakistan’s first Three Dimensional Interactive National Quiz Competition under the theme “THE GENIUS (I TOUCH, I SOLVE)” to discover the intellect of students by introducing Science, Mathematics and General Knowledge challenges in a knowledgeable, fun and exciting way. Schools from all over Pakistan participated in this event. The event was held at the Sindh Boy Scouts Association Auditorium in the second last week of October, 2018. HOPE-an Educational NGO in Pakistan has been providing quality education to the underprivileged children through its Zia Colony School in Karachi since 2002. It makes every opportunity available at hand to boost the confidence and increase cognitive and physical abilities of their students. AFAQ Leader’s Club has given them the chance to participate in nationwide quiz competition to test their knowledge in different areas of study. Zia School students were enthusiastic to become part of this quiz. National Quiz Competition 2018 was a great opportunity to showcase students’ talent. Given the opportunity to participate in a national level event, HOPE Zia Colony School students seemed very happy. They tried their best to prepare for the competition with the help of their teachers. Out of three categories of science, mathematics and general knowledge; general knowledge was chosen for the competition. From secondary section three students of class 9th were selected to participate in the competition. Registration fees and other expenses were covered by HOPE school under the patron ship of Dr.Mubina Agboatwalla - a child specialist in Karachi who always encourages co-curricular and extracurricular activities among the students. These activities play important role in increasing students’ self esteem. Students who participate in such co-curricular activities develop higher academic results, better relationships at school, and are more likely to lead healthy, active lifestyles when they leave school. They also feel a greater sense of belonging and have a higher self esteem at school when they participate in structured sporting, performing arts and other activities. In addition, the co-curricular opportunities help create more motivated and engaged group of students, which leads to a happier and more cohesive school and society at large. Students who perform co-curricular activities in schools, help them sharpen their communication skills, expression skills, public speaking, participation and sense of belongingness through different activities like debates, recitation, creative art competitions, quiz competitions, group discussions etc. HOPE-an NGO in Pakistan through its network of formal and informal schools has been creating educational opportunities for otherwise neglected children of our society, by exposing them to new dimensions of academic learning. Women empowerment induces sense of self worth in women. It ensures their right to determine choices in their lives, thus giving them power to control their own lives, both within and outside their home. This will help create a more just social and economic order nationally and internationally. A woman has the right to have access to all the opportunities and resources as an equal member of the society. Dr.Mubina Agboatwalla-a child specialist in Karachi does her best to create opportunities for women and girls to expand freedom of choice for them in order to empower them. An empowered woman is the one who is self confident, who critically analyses her environment and exercises control over decisions that affect her life. The idea of empowerment manifests itself at all levels of societal interaction. It is found in giving a voice to the weak and marginalized. It requires having an access to the needed tools and materials for the expansion of capacities. Procter & Gamble Pakistan partners with HOPE-anNGO in Pakistan in various ventures to create opportunities for women in Pakistan since many years, sharing the same philosophy of women empowerment by giving them training and resources. HOPE and P&G have worked together to empower women in downtrodden areas specifically. HOPE has set up hospitals, schools and vocational centers in Karachi, Thatta, Sujawal and Badin. Only through education and training women will be able to improve their lives. Education and training go side by side each other in giving people power to improve their lives. That is why HOPE has opened so many informal and formal schools and vocational centers throughout Pakistan. This is the first step to bring our society towards a better tomorrow which will take years to show its fruit. 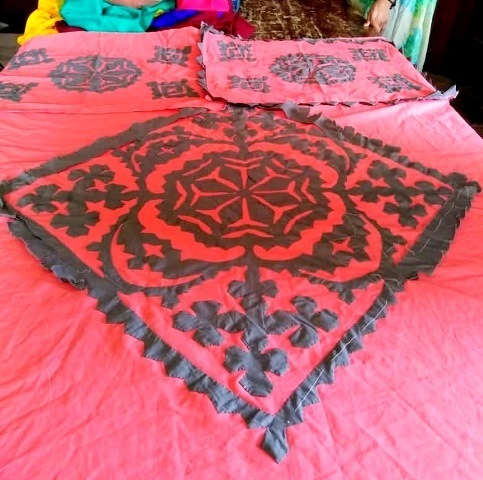 It’s been a decade since HOPE-an educational NGO in Pakistan has been running vocational centers for the underprivileged women of Karachi and rural Sindh. There are many girls who not only get training at HOPE vocational centers but are also enrolled in HOPE schools located in their area. These vocational centers provide training of cutting, sewing, stitching and embroidery. The course is designed to cater the needs of the women at their own pace. Shifts are set in a way that not only the local women but the women from other nearby localities can also come to get training there. They can easily manage their family responsibilities side by side this training. Though travelling across the area is difficult for the women coming for training from distant areas. The training gives them confidence to apply their skills practically. After getting this training many women and girls became able to start their own micro level business by working in their free time at homes. This is how a tiny step can change their lives and eventually the overall living standard of their family. It will result in economic growth of the society. Due to the partnership between HOPE and P&G, HOPE has been able to set up many successful vocational centers which are playing their role in empowering women and girls and help them getting financial stability. HOPE - an Educational NGO in Pakistan, is making every effort in eliminating illiteracy rate in Pakistan; HOPE is continuously striving its best to provide education for all especially the underprivileged masses. Hence most of Hope’s educational centers are located in the slum areas of Pakistan where there is lack of schools. HOPE Zia School located at Korangi Karachi, is funded by Japan Embassy in Pakistan. HOPE- an NGO in Pakistan and the Japanese Embassy have a very vigorous and strong bond. Recently in the past week the Japan Consulate hosted an exhibition at Pearl Continental Hotel, Karachi. The students of HOPE school Zia colony were invited to this opportune event. The purpose of the Exhibition was to display a glimpse of Japan’s culture and lifestyle and thereby to further enhance the friendly relations between the people of Japan and Pakistan. 20 students were invited at the fest. They were accompanied by two representatives of HOPE’s team members, along with the Vice Principal and a teaching faculty member of HOPE Zia School. The Consulate General of Japan in Karachi arranges a Japanese fest every year and invites the students of several schools to experience a glimpse of Japan. This is a good initiative taken by the Consulate General of Japan in Karachi, in order to introduce the culture of Japan to Pakistani community. The event started by an opening speech delivered in Urdu by Mr. Toshikazu Isomura, Consul General of Japan in Karachi. Followed by a Japanese song performance sung by a student of Karachi Grammar School, there was a play performed by the students of the same school; directed by Ms. Zahid Maheen. There was a dance performance by Band XYZ featuring J-pop and a Rock band performance by Shonen Infinity. Furthermore there was a Ju-JItsu Demonstration which is a Japanese martial art and a method of close combat for defeating an armed and armored opponent in which one uses either a short weapon or none. Guests were overjoyed by Japanese food tasting along with playing different game A fashion show was organized by the students of Indus University. The event ended with an award ceremony and closing remarks by Mr. Toshikazu Isomura. It was a great day spent with people from different walks of life hosted by our Japanese well-wishers. Under the leadership of Dr. Mubina Agboatwalla- child specialist in Karachi, HOPE has extended its reach towards the masses living below the poverty line, focusing especially on one’s legal rights. Education also inculcates a sense of what’s right or wrong and what is best to do for one self. An educated person is more likely to develop better moral and ethical values as compared to an uneducated person. Lack of education creates problems like superstition, domestic violence, poor health and poor living standards. Education will bring equal opportunity for both man and women, educated people will be able to create a better society. Dr. Mubina Agboatwalla- a child specialist in Karachi understands the importance of education and how it can help create a positive impact in improving the lives of people in Pakistan. Muzaffargarh is a city in the southwest of the Punjab province, located on the bank of the Chenab River, 40 kilometers away from Multan City. 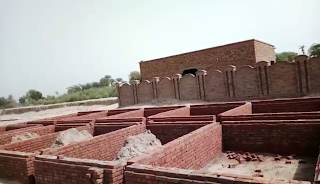 About 4 million people reside in Muzaffargarh, the city was hit hard by the 2010 Pakistan floods, given its position between the Chenab and Indus rivers. It is located at almost the exact geographical center of Pakistan. It experiences some of the most extreme weather in Pakistan. Muzaffargarh is an underdeveloped area. Local people are living closer to poverty line. Lives of people are very difficult there. Education is like a luxury to those who are living hand to mouth. 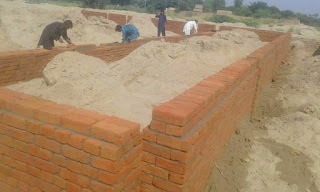 HOPE- Muzaffargarh School is located in Basera, which is 22 kilometers away from Muzaffargarh. 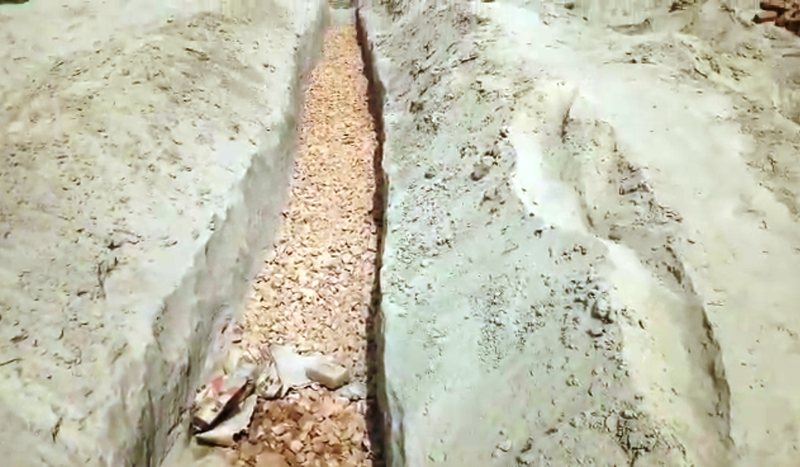 This school is still running in a rented building, but now the construction of a new building near Godhar Chawk is in process due to a generous donation from the Embassy of Japan in Islamabad, Pakistan. Japan Embassy has always been active in facilitating education in Pakistan. 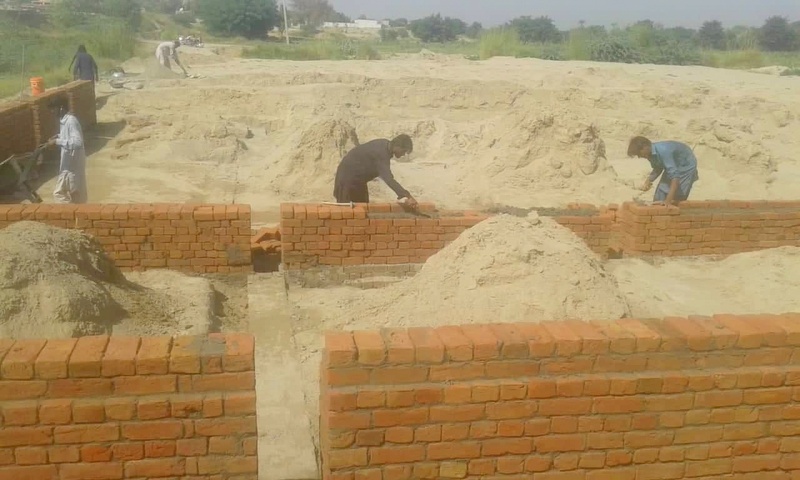 They are collaborating with Hope- an Educational NGO in Pakistan for the construction of a new building for the benefit of the local community in Muzaffargarh. The school is an elementary school and provides quality education up to grade VIII. There are 320 students currently studying here, among them many are orphans. As this is a rural area, mostly the children of farmers and laborers study in this school. Books are provided here free of cost. Extracurricular activities, especially outdoor activities and sports are encouraged in the school. 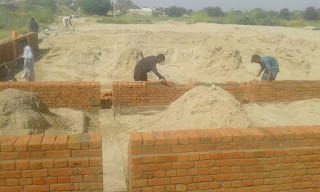 The locals living in Muzaffargarh and the nearby areas are really grateful to the team of HOPE-an NGO in Pakistan for providing a school in their locality which would now be a sole property of Hope and will be serving the local community in Muzaffargarh over the years to come. This school will be very convenient for the children living in Muzaffargarh and other nearby villages, as the school is approachable to them within walking distance. Water is the most important substance in the world, a necessity utilized by living things for survival and is necessary for several processes. Water is vital in our life, it is essential for our survival. Experts claim that an average human body requires the consumption of at least 2-3 liters of water per day for the purpose of drinking in order to survive. Apart from the human body requirements water is an essential element that is needed for bathing, cooking, washing, agriculture, livestock etc. Recently HOPE-an NGO in Pakistan installed 1 new Hand Pump and 2 toilets with the funds donated by Ms. Alizeh. Ms. Alizeh joined hands with HOPE-a Health NGO in Pakistan to help people get over the hurdle of walking miles to get water, by installing a hand pump in Dastano Jano, Ikhtiyar Goth. The handpump is dug deep approximately 200 feet down the ground level using heavy machinery to bore water up above the ground. She associated this act of kindness with the name of her son, Mr. Zedan Munshi. 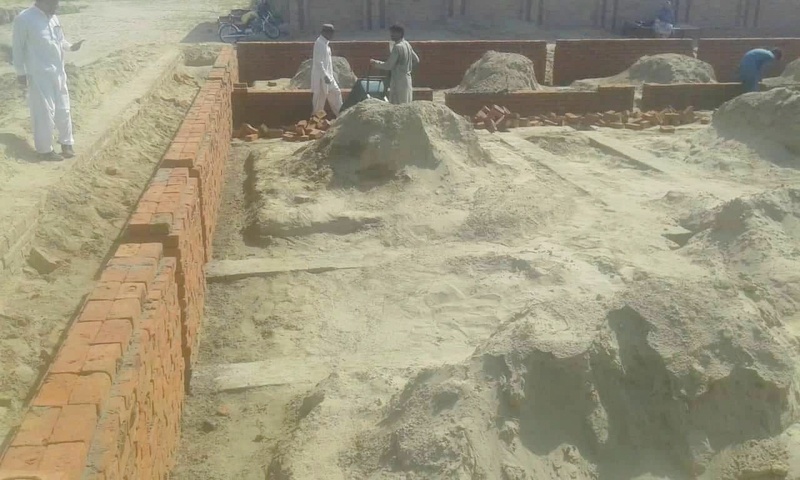 The Handpump was installed in Ikhtyar Khan Goth, where approximately 60 families reside and each family consists of 5-6 members, that accumulates to a total sum of around 330 people at Iktyar Khan Goth. Ms. Alizeh communicated with the local people to know more about their living conditions. They told her about the problems they faced in meeting basic needs of life. Ms. Alizeh and the HOPE team were welcomed by the fellow villagers especially the women there who expressed their love and appreciation by giving them Ajrak (Cloth) which is considered as a traditional Ritual in the village. Ms. Alizeh was all praise for the organization’s contribution under the leadership of Dr. Mubina Agboatwalla-Child Specialist in Karachi and wished them luck in future endeavors in other usually neglected areas.